Every genealogist has that one place that they would give anything for to be able to visit and conduct research. I am no different. Ever since I found out I have deep roots in New England, I have wanted to visit there. My husband, Kirk, and I have finally decided we are going to take that great big New England Genealogy Tour! I am so excited, but also overwhelmed when I think about how much I need to do to get ready for a trip of this magnitude. 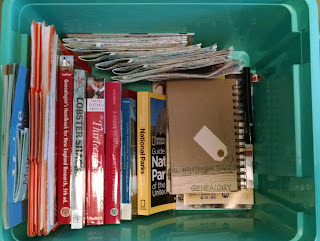 I need to make the usual trip preparations: trip itinerary, reservations, routes, etc, and I need to get my genealogy research in order. I plan to make research plans for each question I would like answered during my trip. I plan to create Roots Magic, my genealogy software, reports for each area we are visiting. I have taken other research trips that were closer to home and I was able to focus my research goals to a family or two. I have hundreds of families to research in New England and narrowing my focus for best success will be tough. First, I need to plan the trip. I started a Pinterest Board, "Future New England Trip", about three years ago. I have been adding pins that are of interest to my husband and I. We plan to combine his hobby of beer-making, our love of traveling to new places, with my research interests. 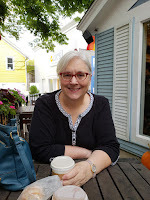 Although I am calling this "The Great Big New England Genealogy Tour", I am planning vacation time or down time as well. Putting trip resources in one place! Next, we plotted out what states and attractions we would like to see and how long we feel we would need to do everything on our list. We have five states (New York, Vermont, New Hampshire, Maine, and Massachusetts) and numerous attractions we are going to visit. I am sure this list will be edited as we continue our planning, but I wanted to get an idea of where we wanted to go so I could start looking for places to stay. We plan to use VRBO (Vacation Rental by Owner) and hotels during our stay. Our first stop will be in the Finger Lakes area of New York. Both Kirk and I have ancestors from that area. I don't plan on doing any research here, but want to visit a couple of cemeteries and see the Phelps, Oak Corners and Owasco areas. Next, we will travel to Massachusetts. We plan to stay South of Boston, for one week, and visit the historical sites of Plymouth and Cape Cod. We plan to stay a number of days, North of Boston, and use public transportation to go into Boston. I want three days to research at NEHGS (New England Historic Genealogical Society) Library. Plus, we need a couple of days to explore Boston's historical wonders. 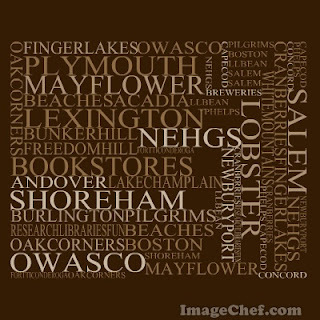 In addition, I want to visit Salem, Newburyport and Haverhill areas. The rest of the time will be spent exploring the other states in New England. Visiting Maine will be for pure vacation time. So far, I don't have any research to conduct in Maine. I plan to eat my way through Maine with Lobster! I bought a book on Lobster Shacks at Half.com! Then I will waddle around Acadia National Park, Freeport, and Portland, all for fun. A couple of days will be spent in New Hampshire exploring the area where my Poor family lived. We will spend a day exploring part of the states beauty before traveling to Shoreham, Vermont. Shoreham, Vermont is where my Fenn/Rowley line lived before moving to Michigan. I hope to be able to explore the area and find new leads for research, if I didn't find them at NEHGS library. We will use this as our 'home' base for visiting other areas of Vermont. Fort Ticonderoga, Lake Champlain, Ben and Jerry's, Covered Bridges and Burlington are on the list. This is an ambitious itinerary, one I am looking forward to tackling. I tried to remain flexible in case something pops up and we want to explore it, but I travel best when I have a plan. 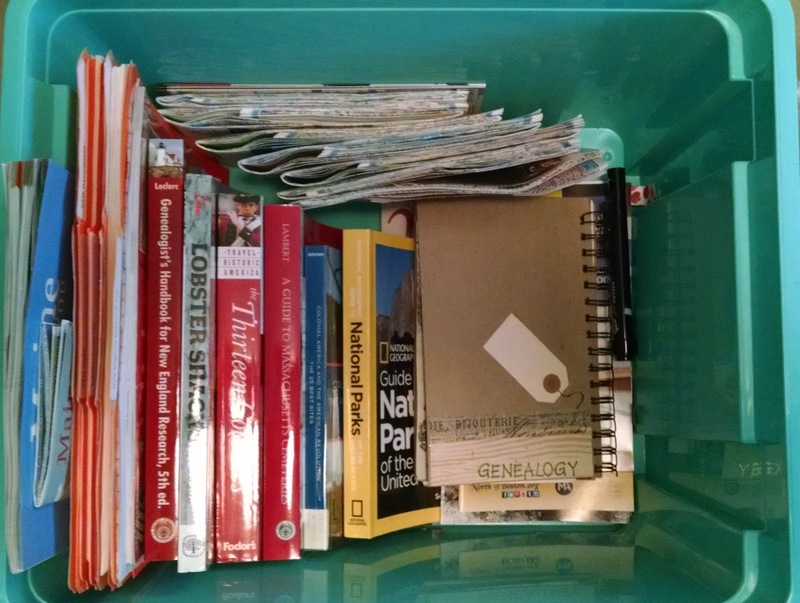 The Great Big New England Genealogy Tour will be included in my blog posts from time to time. I plan to share my trip and research preparation with my readers. I hope to include information on research plans, research logs, repository reports, Roots Magic reports, and more. But, first I need to record research I have previously conducted. I try to do that before I conduct more research. Join me as I plan one of my long sought after research trips. 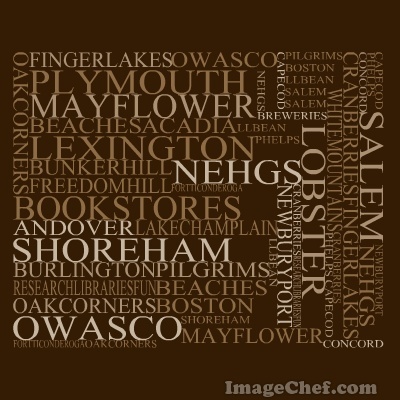 Do you have any New England research gems, favorite food joints, or must see places? Please share in the comments.